Buying apps related to an activity can often serve as a substitute for actually doing that activity. I’ve spent more time reading reviews of meditation apps, for example, than I’ve actually meditated. I buy grocery list apps as a substitute for ever actually going to the grocery store. I buy cookbook apps and then strenuously avoid cooking. 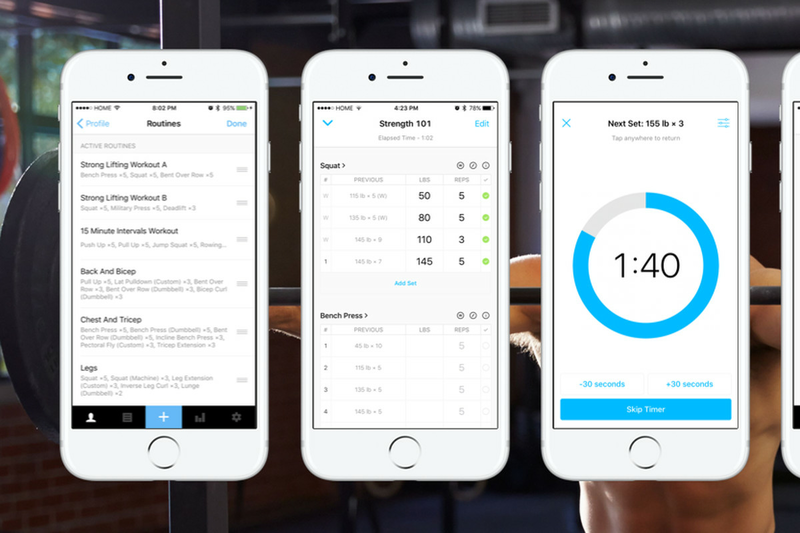 For most of my smartphone-owning life, fitness apps have been no exception. 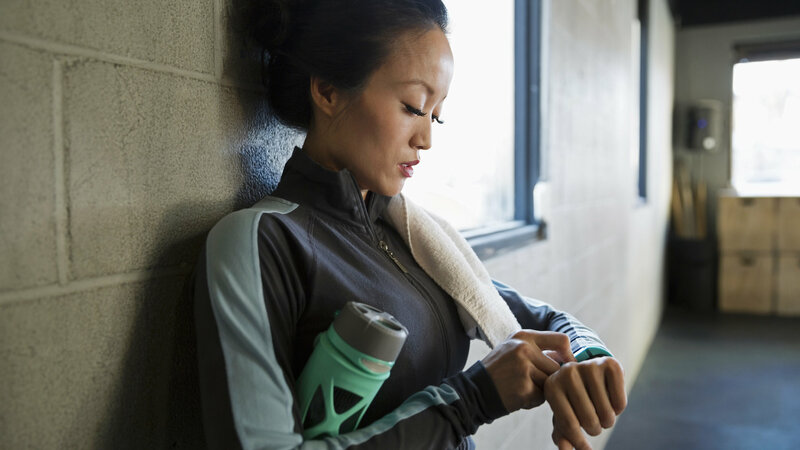 There’s almost always a good reason not to go to the gym, and simply installing a fitness app on your phone can comfort me, however falsely, that I am at heart an athlete. 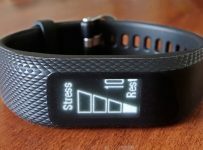 And then, six months ago, a surprising thing happened: I started using a fitness app four or five times a week, and it made a measurable difference in helping me work on my fitness goals. On one hand, the tool wouldn’t have mattered at all had I not been motivated to use it. But on the other hand, having a great tool made my workouts much easier — and in a variety of ways, has pushed me to keep going. Strong does two things that have been particularly useful to me. The first is remember: each time I start a new workout for my arms or legs, Strong notes how much I lifted the previous workout. It does so automatically, and it’s amazing how such a simple thing has had such a powerful effect on me. Bumping that number up over time has become a game to me, and it’s pushed me to gently ramp up the difficulty level on my exercise more than anything I’ve tried short of a personal trainer. The first time I successfully did 40 push-ups, I could scarcely believe it. Previous apps I used required me to update my routines manually; automating that has made all the difference. The second thing I find useful is Strong’s graph of my most recent workouts. It’s a simple bar chart that adds a block for each workout I complete. For me, a good week involves going to the gym four times. Getting four workouts on my chart each week has also given me a surprising amount of motivation — and getting less has made me feel surprisingly ashamed! There are a host of other features that power lifters may find useful. A warm-up calculator, for example, will help you ease into your workout. A rest timer will count down your time between sets. There’s a companion Apple Watch app on iOS, along with Apple Health integration, for more complete tracking of your measurements. Since I started using Strong, I’ve logged 143 workouts and am down 20 pounds from my peak. I arrived at the magical moment of weight loss when friends started asking me what I had been doing differently, and whenever I told them I would always bring up Strong. To be sure, I have a lot more work to do. (Not least because I managed to strain an abdominal muscle performing in an improv show a week ago, which would be hilarious if it weren’t going to keep me out of the gym for an unspecified number of weeks.) My diet is still an essentially grotesque American one, and my weightlifting routine is based more around what I enjoy doing than it is any scientific approach to gaining muscle mass. But for me, getting to the gym on a regular basis has been one of the great insurmountable challenges of adulthood. Anything that makes that more enjoyable is, for me, worth investing in. I suspect I could have gotten similar results using a dozen different apps. But I can’t imagine going to the gym now without an app. Going to the gym is still a chore. But with apps like Strong, working out feels more like a game that you’re playing with yourself: Can you make the numbers all move in the right direction? It’s not the most fun I’ve ever had, but it’s enough to get me to the gym. That’s enough to make it one of the most powerful apps on my phone, and easily one of my favorites.